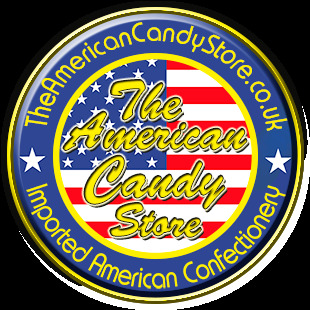 Halloween Candy, Candy Corn, Flying Cauldron Butterscotch Beer and So Much More! Halloween Candy There are 17 products. 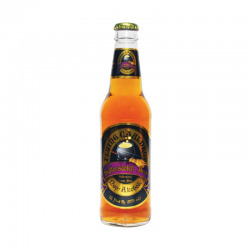 Reeds Virgils Flying Cauldron Butterscotch Beer. Glass Bottle. Skittles Cauldron Mix. Fruit Flavour Halloween Themed Chewy Candy in Assorted Flavours. 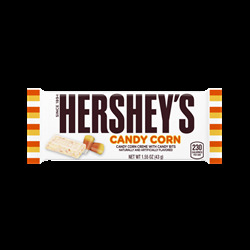 Hershey's Candy Corn Bar. Delicous Candy Corn Creme With Candy Corn Pieces. Flix Candy Box Of Boogers. Assorted Flavoured Realistic Tangy Gummy Boogers. 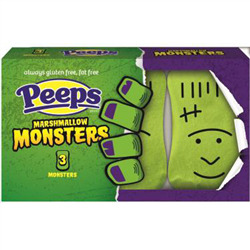 Peeps Marshmallow Monsters. Sugar Coated Monster Shaped Marshmallows. 3 per pack. 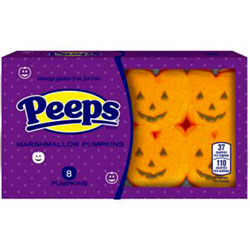 Peeps Marshmallow Pumpkins. Sugar Coated Pumpkin Shaped Marshmallows. 8 per pack. Peeps Marshmallow Ghosts. Sugar Coated Ghost Shaped Marshmallows. 3 per pack. Brach's Classic Candy Corn, The Original Sweet, Tri-Coloured treat, Known For Its Unique Rich Flavour, Moist Texture and Real Honey Flavour. Made With Real Honey. 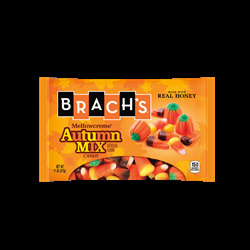 Brach's Mellowcreme Autumn Mix Candy, Assorted Halloween themed Candy, Featuring The Rich Taste and Unique Flavour of Brachs Classic Candy Corn, Made With Real Honey. 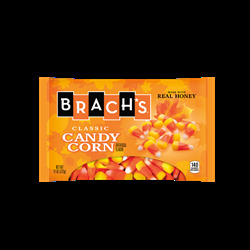 Brach's Caramel Candy Corn, Featuring The Rich Taste and Unique Flavour of Brachs Classic Candy Corn Infused With Caramel to Give a Rich Caramel Taste, Made With Real Honey.